Thanks for checking out Chrome Music Lab. Unfortunately, your browser doesn’t support the technology that makes these experiments work. For the best experience, view it on Chrome. What is Chrome Music Lab? Can I use it to make my own songs? Yes. Check out the Song Maker experiment, which lets you make and share your own songs. Nope. Just open any experiment and start playing. All our experiments are all built with freely accessible web technology such as Web Audio API, WebMIDI, Tone.js, and more. 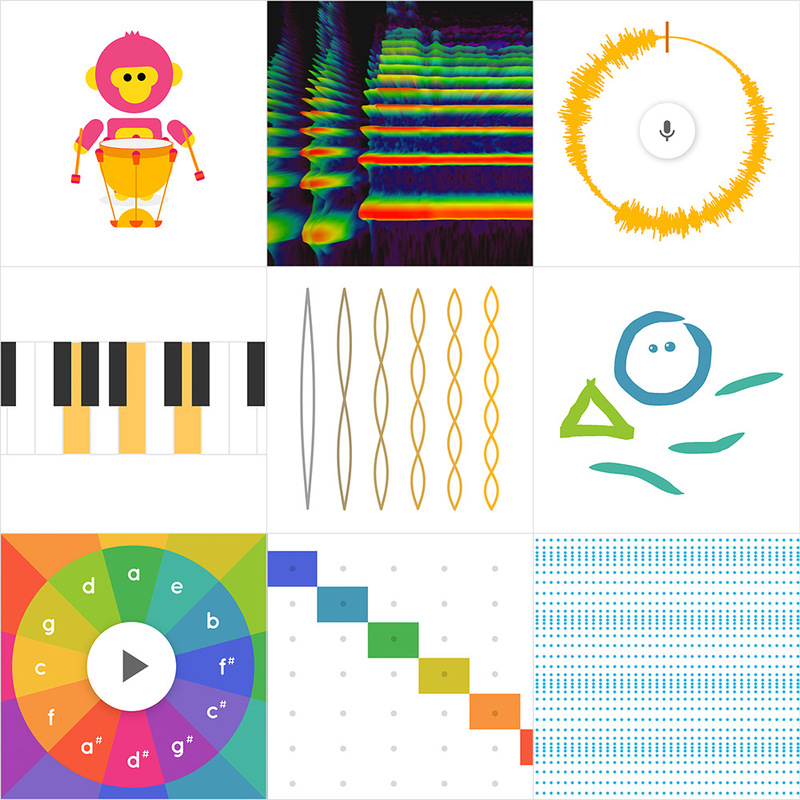 These tools make it easier for coders to build new interactive music experiences. You can get the open-source code to lots of these experiments here on Github. What devices do these work on? You can play with these experiments across devices – phones, tablets, laptops – just by opening the site on a web browser such as Chrome. What's next for Chrome Music Lab? We always get inspired by new, unexpected ways that people use these experiments. If you’d like to share something with us, post it with #chromemusiclab or drop us a line.